Four organisations sit underneath the AADL banner: The original Association for Data-driven Marketing and Advertising (ADMA), the Institute of Analytics Professionals Australia (IAPA), the freshly rebranded Digital and Technology Collective, and the recently launched Data Governance Australia (DGA). Combined, the Australian Alliance for Data Leadership represents more than 1000 companies and 50,000 individual professionals across Australia. 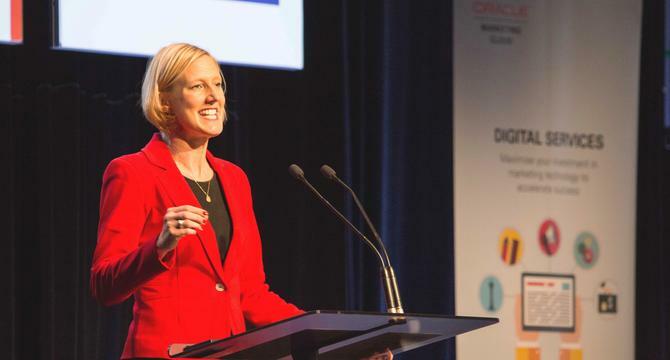 Announcing the new-look parent association at this year’s ADMA Global Forum, the group’s CEO, Jodie Sangster, said the alliance was about recognising the different skills and functions that have come into the marketing fraternity. She noted the ongoing transformation of what marketing stands for, and suggested today’s practitioners should no longer think of themselves as ‘marketers’, but as “customer engagement experts”. “We want to have communities working together so we can create a common language across our profession,” Sangster said. “This is about all tenets of our industry coming together. Part of the reason these associations must come together is to make sure the industry has the expanded knowledge required to cope with customers in a digital age, she said. Each of the associations has the common thread of customer and data, but comes from a different angle and representing a different business division and professional community. The new structure will allow all four associations to play on a level playing field with their own voice and purpose, while benefitting from a shared services model and additional collaboration. Pointing to insights derived from ADMA’s skills assessment tool, Sangster said it was clear there were still significant skills gaps across Australian organisations around digital, data and experience. Since launching the skills assessment last year, ADMA has worked with 20 companies to assess skills across about 1000 individuals. “We know there are these gaps and as businesses, we’re all working towards dealing with them,” Sangster said. “But what was more interesting with what we’ve found using this tool was that within organisations, where someone has a skills gap, someone else often has the skill. What the skills tool also made clear was that what people want to learn versus they should learn are two different things, Sangster said. “Our tool is about helping working out what we should learn,” she added. Heading up the AADL as interim chair is Uber CMO, Steven Brennen. The new board also comprises of the chair of ADMA (Brennen), D+TC (New Republique CEO, Nima Yassini) and IAPA (Seek global matching and analytics director, Antony Ugoni) as well as several new appointees: Flamingo CEO, Catriona Wallace; eBay CFO, Gavin Dennis; Fairfax Media chief data officer, Robyn Elliot; Quantium chair, Tony Davis; and non-executive director, Naseema Sparks. ADMA started making its wider industry foray in 2014 by striking an alliance with IAPA, taking over the organisation the following year. It followed this us by acquiring the ailing AIMIA organisation from the administrators in February 2016, and rebranded the association to Digital + Technology Collective in July. ADMA then launched Data Governance Australia in October 2016 to focus on creating a code of conduct around collecting, using and management data.